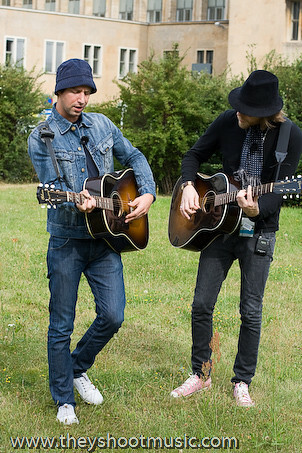 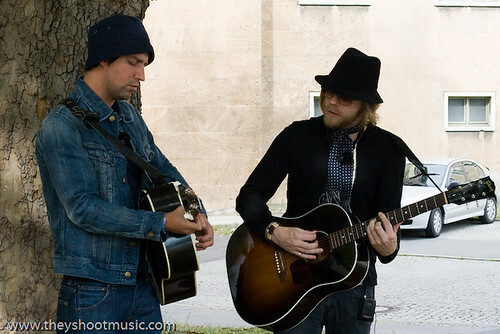 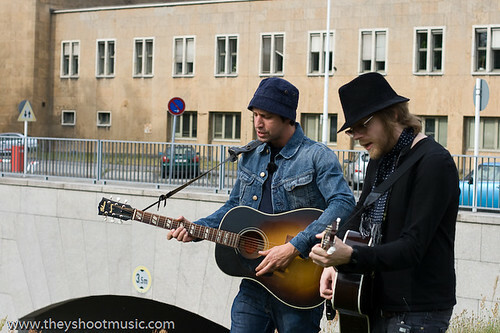 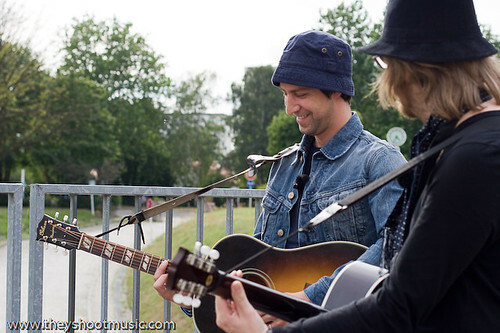 We meet Joel and Luke from The Rifles in the afternoon before their show at Berlin Festival. 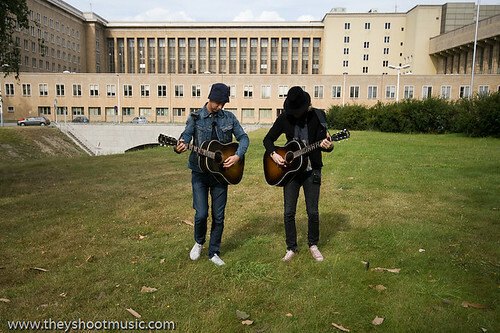 It’s a pity that we aren’t allowed to get out on the airfield of Tempelhof airport – where the festival takes place –, so we take the other exit and head out for a walk alongside the huge building. 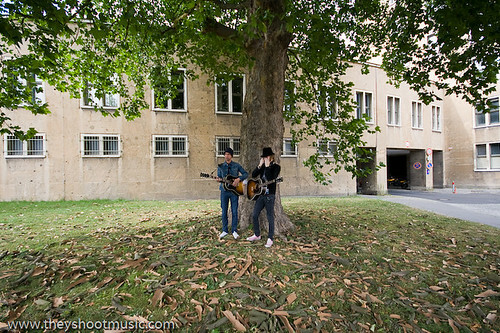 Under a big tree in front of the prison-like Tempelhof walls the two lads stop, grab their guitars and start into a beautiful acoustic version of “Robin Hood”, a perfect example of their well crafted Indie rock that even impresses Modfather Paul Weller and Blur guitarist Graham Coxon. 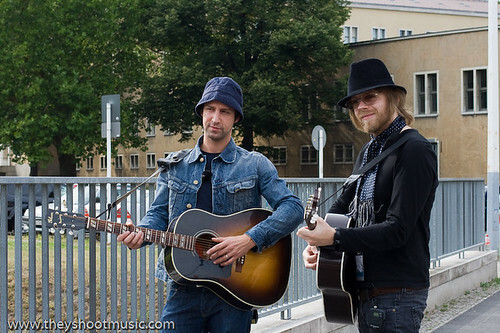 Inspired by the intense experience of watching an Oasis show at Knebworth Park, UK among 125,000 people, the Northeast Londoners Joel and Luke decided to form a band and made their intention come true in 2003. 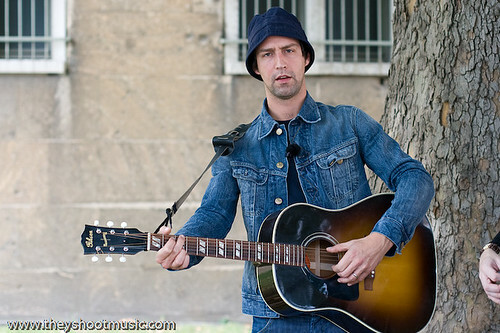 These days their inspirers have disappeared in conflict from the music stage, whereas The Rifles can already be added to the leading bands in British pop music.